Getting Re-married? Consider second spouse planning. No one wants to think about their untimely death. Especially after you’ve just been given a second chance at love. 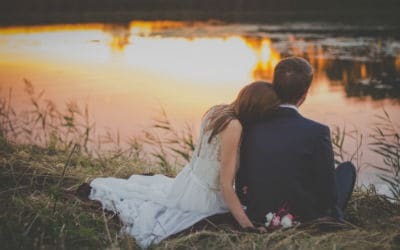 However, if you’ve just gotten remarried and you have children from your first marriage, how do you ensure that both your new spouse and your children receive an inheritance if you die? Do your children or your new spouse get the house? How will your new spouse get by financially if you choose to provide an immediate inheritance for your children? You want to make sure that your children won’t be disinherited if you leave everything to your new spouse, who then can ultimately will the money elsewhere. Your current will could be fraught with risks that could cause your children to be disinherited. Pass your assets to a revocable trust agreement that’s funded during your life through your will or through beneficiary designations. The trust is revocable at any time, so you’re able to change your mind. Upon your death, the trust becomes irrevocable and would benefit your spouse and children. Invest assets to make them income-producing and pay all the income to your new spouse for the rest of their lifetime, while still preserving the principal for your children. Upon your spouse’s death, the remaining principal of the trust goes directly to your children outright or in further trust. You can also choose to name an independent trustee who will have the power to pay a portion of the principal to your new spouse if there’s a need. You can even have your second spouse’s interest in the trust end upon remarriage. Your second spouse may be able to claim 1/3 to 1/2 of the assets covered by your will, even if your will specifically states something else. Click here to learn more. Joint bank or brokerage accounts held with a child will go to that child. Your IRA and/or 401K will go to whomever you’ve named as beneficiary. Contrary to what you may have been told, wills do not supersede these beneficiary elections. If you want a different arrangement, you and your spouse must have a written prenuptial agreement that meets your state’s inheritance laws. You’ll need to change beneficiary forms. These financial issues merit serious consideration. Competing interests of your adult children and your second spouse may induce additional heartache once you’re gone. In the case of blended families, it’s always wise to have a professional evaluate your existing will to ensure your desires are carried out.